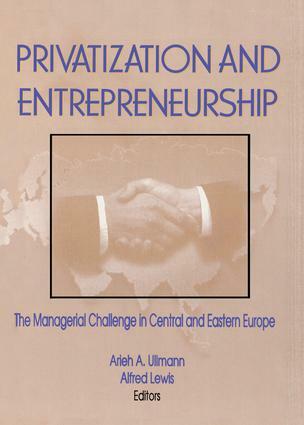 Privatization and Entrepreneurship: The Managerial Challenge in Central and Eastern Europe analyzes the challenges faced by managers in the transforming economies of Central and Eastern Europe and provides penetrating insights into the details of managing in the former socialist countries. This collection’s combination of conceptual/theoretical material with empirical, firsthand case analysis prepares Western managers for a more profitable and less stressful entry into these significant markets. Where Is the Research from Central and Eastern Europe? Managerial Implications of the Transition from Public to Private Ownership in Central and Eastern Europe: Are Managers Equipped to Compete?